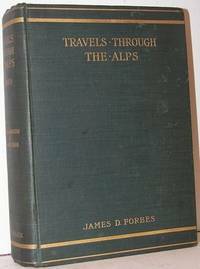 Home > TRAVELS through the ALPS New Edition Revised and Annotated by W.
London: Adam and Charles Black, 1900. A good, firm, clean copy in badly rubbed and scuffed boards. Lacks maps in rear pocket.. Revised Edition. Cloth. Very Good. Octavo.